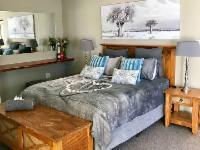 Meadow Lane Country Cottages is situated in a tranquil environment amid a park-like setting, just outside of Underberg. 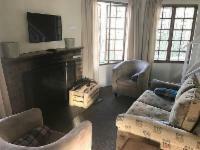 We offer five self-catering cottages surrounded by beautiful old trees and lively birds and our peacocks that love to display their colours. The gem of Meadow Lane has to be the dam, of which is home to weavers, moorhens and visiting ducks, geese and cormorants. It is also stocked with bass, where catch-and-release fishing is welcome. This is a small dam which is fun for the casual fisherman and kids. Enjoy a visit from our ponies and sweet little donkey, Rosie while having breakfast on your veranda. Spot the otters that swim between our dam and river! Trampoline, swings and monkeybars for kids to enjoy as well as a short zip line over the dam. Meadow Lane has its own airstrip suitable for light sport aircraft. Hangar space is available. Activities in the area include trout fishing, horse riding, walking trails along the river, mountain bike trails, hiking, tubing and canoeing to name but a few. What a wonderful experience in the countryside. The area is wonderful, Scott and Lesley were excellent hosts and we could relax in a beautiful environment. Amazingly quiet and blissful getaway. Really enjoyed our stay. Excellent amenities and furnishings. 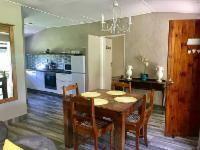 Meadow Lane is a gem in the countryside, with cottages that make you feel at home. 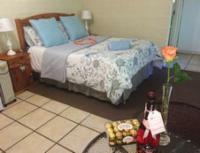 The comforts of home are there and nothing is too much for the owners, Lesley and Scott-thank you! Highly recommended place to replenish your soul! 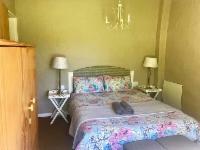 Meadow Lane Country Cottages is 7.4km from the centre of Underberg , the nearest airport 158.9km (Margate Airport).